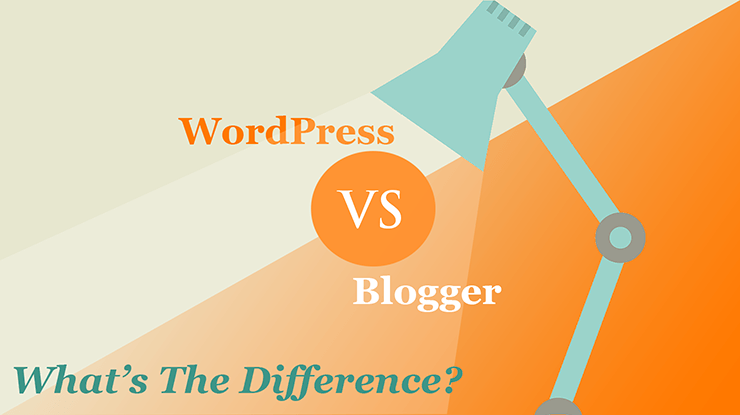 One of the first things new bloggers ask when they enter the blogosphere is which is better WordPress vs. Blogger and whether they should use WordPress or Blogger to build their website. While both WordPress and Blogger are free blogging platforms that offer plenty of features, the two services are actually quite different. When it comes to the appearance of your blog, Blogger doesn’t offer many options. Users on the platform can choose from a limited selection of templates and then modify the colours and fonts therein, but that’s about it. Additionally, the templates a user would get from a designer outside of Blogger are generally low-quality. WordPress, on the other hand, offers a selection of thousands of themes that are easy to install and can be highly customized to fit your blog. While many users don’t know this, Blogger is owned and run by search engine giant Google. For a beginning blogger, the platform generally does just fine: it provides a space for you to publish your content at no cost and it’s generally reliable. Keep in mind, however, that when you use Blogger you don’t actually own your content. This means that Google can shut your site down or limit access to your content whenever they please. WordPress, on the other hand, allows you to partner with a WordPress hosting provider of your choice to host your blog. This means you’re in complete control of decisions regarding when and how to run your site and when you want to shut the site down. You also own all of your content and have complete control over third-party information sharing. So where should you host your website? That depends on where you are locate in the world. Some of the main factors your should consider when looking for a web hosting company are uptime, speed and performance, customer support, and price. Doing your research will go a long way to ensure you are hosting your site with a quality web hosting provider. The people who love Blogger will say that it’s a great service due to the fact that it’s honed-in and specific. Those who hate it will say that blogger is so limited that it deprives users of options and control. Blogger was designed to be a very basic blogging platform and, once you’ve met the limits of what Blogger can do, there’s no way you can extend or enhance your blog’s options. This means that the platform makes its source code available to everyone, which in turn means that you can change and customize the source code to fit your needs as you become a more advanced blogger. By expanding your blog to include new features, you can easily do things like add a retail feature, embed social media feeds, monetize your blog, and create subscriber opt-ins – all of which are features Blogger doesn’t easily support or simply does not allow. For this reason, WordPress wins out as the blogging platform of choice for people who want to use their blogs to run a business or make sales. There may come a time during your blogging career when you want to migrate your site. You may choose to change your domain name or partner with a different hosting provider, so it’s important that your blogging platform supports easy migrations, right? Unfortunately, migrating your site is an incredibly difficult experience when you use Blogger. Users who make changes to their site risk losing their standing in search engine results pages (SERPs) as well as their blog’s followers and subscribers. Additionally, moves from Blogger aren’t always clean-cut: while you can transfer your content, your data continues to float around Google’s servers for months or even years after the transfer has taken place. With WordPress, on the other hand, users can move their sites anywhere they please. This even includes migrations to other content systems, if that’s what you choose to do. These migrations don’t pose a risk of losing SEO, followers, or subscribers when they’re done correctly. Since Blogger is owned by Google, it’s actually a very secure blogging platform. Google handles all of the backups and security for Blogger blogs and users don’t have to think much about their blog’s security settings. WordPress is a self-hosted blog platform, which means two things for users: the first thing is that users are responsible for backing up content and setting security preferences. The second is that WordPress security is much more customizable than Blogger security, which places more security decisions in the hands of users. If you’re having trouble using Blogger, you’re essentially on your own. The platform offers a very limited support community and very few resources for confused users. While users do have access to forums and tutorials, they’re generally narrow and poorly-organized, which limits their usefulness for users. 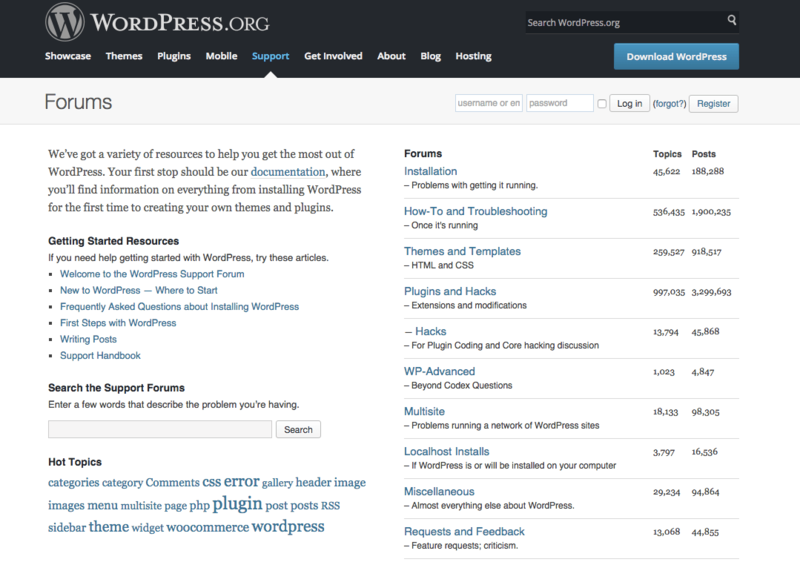 WordPress users, however, have access to an extensive library of forum support topics, videos, and tutorials that cover everything from how to install and customize a new theme to advanced tutorials on HTML and CSS. It’s safe to say that Google has been busy with other things because Blogger hasn’t undergone a comprehensive update in quite some time. On the contrary, popular Google features like Google Reader and AdSense designed to work with feeds have actually been dying at record rates. Again, Blogger is owned by Google, and Google has complete control over the future survival of the platform. This means that if Blogger tanks, your blog does, too. With WordPress, this isn’t true. Again, WordPress is open source software, which means that the future of each individual blog is dependent solely on the owner of the blog and the larger community of bloggers and developers. WordPress is currently the most popular content system in the world and, as such, it is responsible for running tens of thousands of sites around the globe. In light of this, it’s safe to say that WordPress’s future functionality and growth is essentially guaranteed, which is good news for bloggers using the platform. Now that you know about the key differences between WordPress and Blogger, it’s probably clear to you that WordPress is the better choice for bloggers who want to grow their blogs, run a digital company, or make sales from their blog platform. While Blogger is a fine platform for some users, it doesn’t offer the customization options, scalability, support, or ease of use that has made WordPress so famous. Because of this, WordPress is the only option for the serious blogger. Seen enough and want to start your blog right now? Head over to my step-by-step guide now! To learn more about WordPress or to take your use of the platform to the next level, check out my exclusive WordPress Academy today!